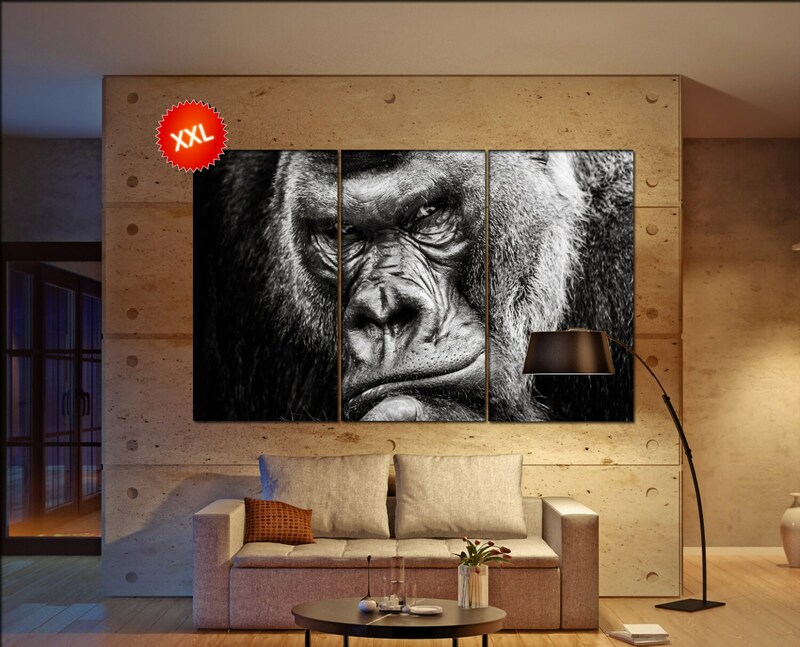 Gorilla wall art printed on canvas. 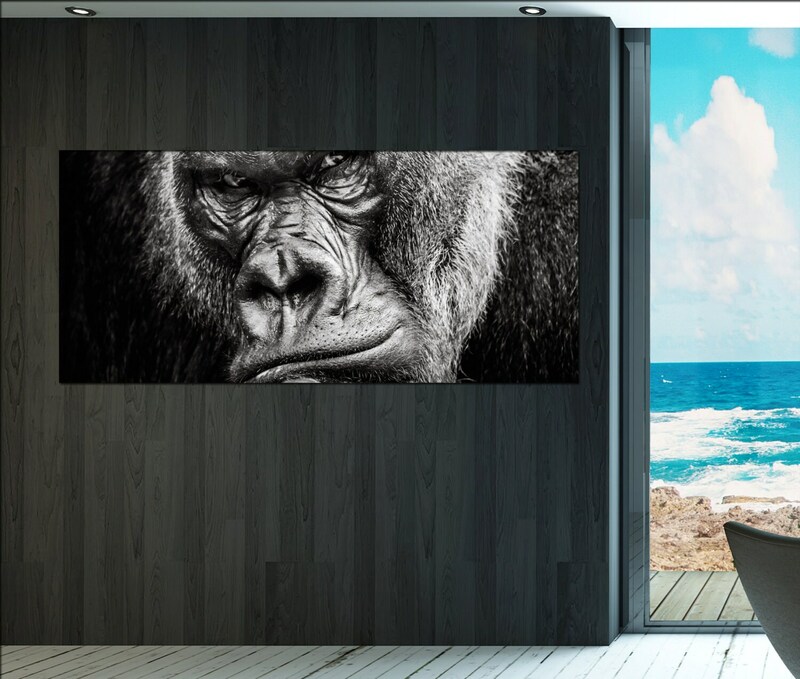 Gorilla printed on cotton canvas. After printing the canvas the cotton will be carefully wrapped and stretched on a pine wooden frame. Also known as canvas gallery wrap. This is a finished product. Meaning: ready to hang. 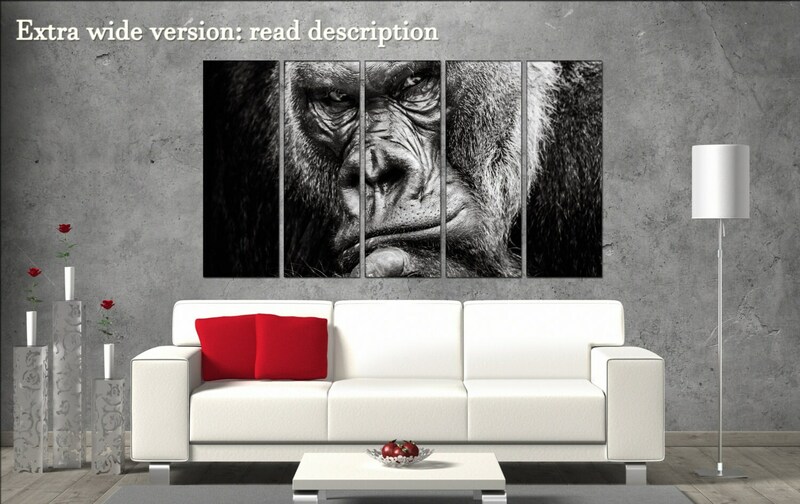 If you have any more questions regarding item Gorilla large canvas rustic wall art art prints, feel free to contact CanvasConquest. Beautiful...quality canvas photo...arrived quickly and as described. A great center and discussion piece! Everyone loves it!